LO1. Synthesize curriculum content through reflective practice, use of FOCUS PDCA model, and a comprehensive integrative project. LO2. Construct safer and improved patient-centered care processes through inter-professional teams. LO3. 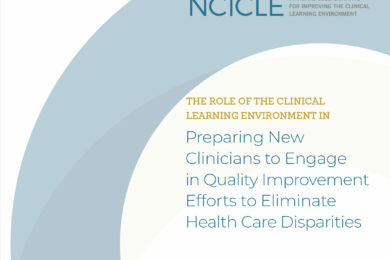 Select a clinically based nursing quality initiative from approved list provided. LO4. Obtain manager support and instructor permission. LO5. Complete a review of literature and prepare a written proposal including a project summary, needs assessment, and review of literature. LO6. The proposal will be presented to the appropriate staff involved in the work, e.g. 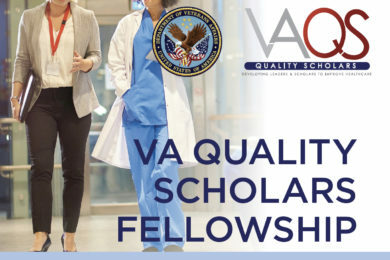 nurse manager, interdisciplinary team members, region or system office “lead” for this topic, and/or senior leadership to solicit feedback prior to project implementation. LO 7. Implement, then evaluate and analyze the data collected for the Capstone project. LO8. Disseminate knowledge gained and lessons learned in a final Capstone Project scholarly paper. Knowledge: Describe strategies for improving outcomes of care in the setting in which one is engaged in clinical practice. Analyze the impact of context (such as, access, cost or team functioning) on improvement efforts. Skills #1: Use a variety of sources of information to review outcomes of care and identify potential areas for improvement. Skills #2: Propose appropriate aims for quality improvement efforts. Skills #3: Assist leadership in shaping the dialogue about and providing leadership for the introduction of best practices. Attitudes: Appreciate that continuous quality improvement is an essential part of the daily work of all health professionals. The Capstone project is the culminating academic experience for the RN to BSN completion program students provide the opportunity to explore an issue in conjunction with their nurse manager, department, division, or regional senior leader that is important to the healthcare organization or specific nursing unit. 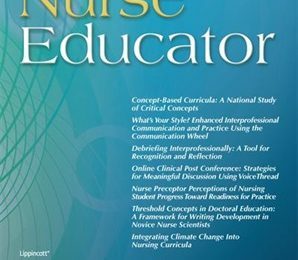 Based on the Essentials of Baccalaureate Education for Professional Nursing Practice (AACN, 2010), these issues may include, but are not limited to: nurse leadership, quality care and patient safety, evidence based practice, healthcare policy development, interprofessional communication and collaboration, population health promotion and disease prevention, and professional values. 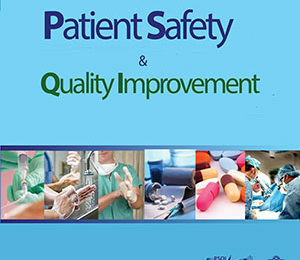 Part of the focus of these classes is based on the Quality and Safety Education for Nurses (QSEN) work. Explaining the importance of variation and measurement in assessing quality of care will be a concentration of the Capstone project. Appreciating how unwanted variation affects care and valuing measurement is fundamental in providing good patient care. The Capstone project demonstrates the student learner’s ability to synthesize as well as apply the cumulative knowledge, skills, and attitudes acquired in the academic program to current workplace specific, prioritized issues. 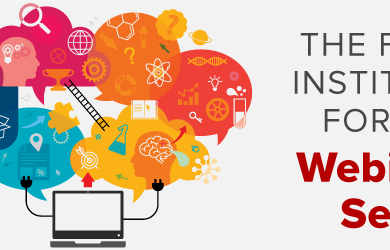 The Capstone project affirms the student’s ability to identify key issues, think critically and innovatively to solve these issues in an ethical and feasible manner, and to effectively communicate findings in an intra- and inter-professional context. Because of this, the work associated with the Capstone learnings will take place in a structured, sequential way during the last three semesters of the program. The first Capstone course, consists of a project selected by the student, in concert with the nurse manager and faculty, that includes a needs assessment, appropriate literature review, a project plan, and implementation of the selected project. The second Capstone course, concludes with data analysis and dissemination of project learnings through an academic paper. The purpose is to provide the student learner with “tools” that can be utilized in the clinical setting to improve patient care and safety. A preceptor will be used for the Capstone experience in the RN-BSN Completion Program to assist in guiding nursing students during their educational process. Utilizing preceptors provides an additional learning forum for nursing students’ continued improvement of patient care delivery, understanding of the integrated healthcare organization, and fostering their development as nurse leaders. Examples of qualified preceptors may include but are not limited to: nurse manager, assistant nurse manager, educator, clinical nurse specialist, nursing director, or clinical nurse leader. Both student and preceptor will utilize evidence-based practices to ensure quality outcomes. · Other topic: _____________ (must receive approval from the student’s Manager and/or Chief Nursing Officer (CNO) to deviate from the menu of options). The student learner will: (a) contact the nursing personnel lead to learn more about this topic and the specific needs for the organization and (b) understand the metric for the topic as well as the current status for the student learner’s individual nursing unit, department, or division prior to project selection. *Please contact Lynette Savage, RN, PhD, COI, University of Providence, if you would like to receive copies of the syllabi. Lynette.Savage@uprovidence.edu 503 349-0215. The Capstone project affirms the student’s ability to identify key issues, think critically and innovatively to solve these issues in an ethical and feasible manner, and to effectively communicate findings in an intra- and inter-professional context. There are three evaluation pieces to this work: (1) Team Contribution Evaluation Tool, (2) Reflection on the Capstone Process, and (3) final scholarly paper based on the year-long process defined in a rubric, as well as SBAR Presentation to classmates. Purpose: The intent of the Tool is to teach learners how to analyze team members’ performance and construct feedback. This tool is confidential between the individual student and faculty. Working on teams is an everyday experience in the work place. However, when you begin to implement different processes sometime teams struggle and may not be as functional during change. As part of the self-reflection portion of this program, each student learner will complete a Team Contribution Evaluation Tool. There are two parts of the tool: (a) evaluating other team members and (b) self-evaluation. Part of this work is to look retrospectively to understand what you could have done differently to improve the team process. For this assignment, students may work either individually or in small groups of 2-3 students. If you are working in a small group of students for the Capstone project, please complete the form based on those members of your Capstone group. If you are working on the Capstone project individually, please complete the form based on members of the team at your unit, department, facility, program, or clinic. 2. Reflection on the Capstone Process: What did the student learn during this experience that they can use in their clinical environment? 3. Written Paper and Presentation: Each student learner will receive a final grade for: (a) the scholarly paper based on an established rubric and (b) class presentation utilizing a Situation, Background, Assessment, and Recommendations (SBAR). Identified Successes: The success of the project is not determined based on meeting a proposed target or goal (e.g. 0% Fall Rate; 95% Hand Hygiene compliance). Success is based on the student learner understanding and experiencing the FOCUS PDSA process, working through implementing a change process, and learning what worked versus what were opportunities for improvement in the process.